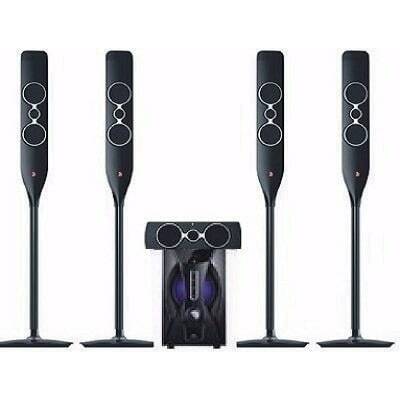 The Djack DJ 5055 Home Theatre is a powerhouse for those who love great sound. With a total power output of 140W, the system comes with one front speaker, 4 surround speaker, and a center sub woofer. It has a full function infrared remote control for easy operation and an internal real 6 channel efficient digital amplifier. There is a support MP3, WMA format music and it also has FM radio and Bluetooth function which is compatible with various sound sources.